Originally from Newark, DE, Nicole joined Surgical Associates in 2002. She graduated with Honors from Towson University in 1997 with an undergraduate degree in Pre-med and biology and completed her master’s degree as a Physician Assistant at the Rutgers-UMDNJ program in New Jersey. She graduated as valedictorian of her class and has first-hand experience as both a dialysis technician and CPR instructor. 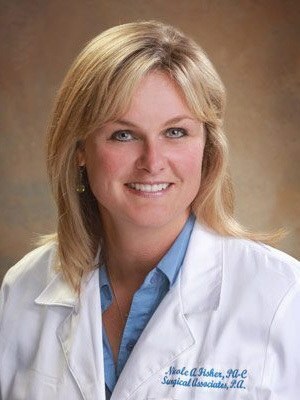 She is certified by the National Commission on Certification of Physicians Assistants and is a member of the American Academy of Physician Assistants and the Delaware Association of Physician Assistants.